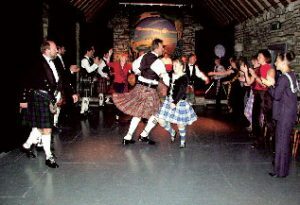 Changes as of June 22: In order to accommodate more people, the MacIntyre Ceilidh has been moved to the Gathering Halls in Oban, a larger but more expensive venue. Thus, the cost for all folks registering starting today is increased to match the cost the original folks paid for the ceilidh + the shuttle to Taynuilt. The shuttle bus is now canceled. If you are one of the original folks who registered for the Ceilidh, your original registration is fine as it stands. The original Gaelic meaning of ‘ceilidh’ was “a visit.” This came to mean a house party, with guests providing the entertainment: singing, instrumental playing, and storytelling. Today, it means any event with Gaelic entertainment. Dr Martin MacIntyre (the organiser of 2008 Gathering) found the following 1920s comment by The Rev. Canon R. C. MacLeod of MacLeod, in a newsletter from www.electricscotland.com . We are looking for MacIntyre performers, story tellers, and musicians to take part. We already have an excellent contribution from Archie McIntyre, a pibroch called “MacIntyres’ Salute” composed 300 years ago by John McIntyre, recognised as one of the great composers. So it is a superb tune, historic, and celebrates all who bear our name. Food and drink are not included in the ceilidh, so you should arrange for dinner on your own prior to the event. no bookings available for adults? It seems the adult tickets have sold out for this one! A few tickets are currently reserved for youth and children. If these are not sold we can release those to the adults later and they’ll be allocated to people on the waitlist in the order they joined. If you’d like to join the waitlist, please email registrations@macintyregathering.com. I will close the first round of registrations on 10 May, and this is the last date for refunds. On 11 May we can re-allocate unsold youth/child tickets to the adults, and reopen the second round of registrations during May. The last date for taking registrations will be 31 May. That will give us 6 weeks to plan with definite numbers!